No baking skills required for this easy, 30-minute Paleo Vanilla Cake! You just need a sheet pan and a serious sweet tooth. Preheat the oven to 350°F. Line a sheet pan with parchment paper and grease the sides with coconut oil. Whisk eggs, vanilla extract, salt and maple syrup in a large bowl. Fold in the baking soda and half the almond flour, stirring well to combine. Mix in the coconut oil and remaining almond flour. Transfer the batter to the prepared sheet pan and spread into an even layer. Bake 30-35 minutes or until golden brown on top and an inserted toothpick comes out clean. Remove from the oven and let the cake sit on the sheet pan 10-15 minutes until cool. Spread the buttercup frosting over the top, then refrigerate 20 minutes to set. Slice into 18 pieces and enjoy. Tip: Keep the cake in the refrigerator to maintain freshness. Look no further for the perfect keto chocolate buttercream frosting. 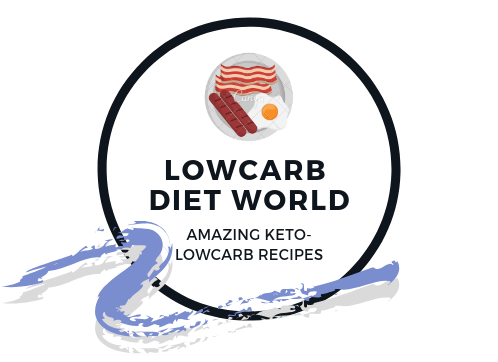 This is the best recipe for all your low carb cakes, cupcakes, cookies, and brownies! In a medium microwave-safe bowl, combine the chocolate and coconut oil. Melt in 30 second increments, stirring in between until smooth. Alternatively, you can melt the chocolate and coconut oil together in a heat-proof bowl set over a pan of barely simmering water. Set aside to cool to lukewarm. In a large bowl, beat the butter and cream cheese together until smooth. Beat in the powdered sweetener and the cocoa powder until well combined. Add the chocolate and vanilla extract and beat until smooth. The mixture will be very thick at this point. Add the cream a few tablespoons at a time until a spreadable consistency is achieved. (How much cream you need depends on the other ingredients…certain brands of cream cheese and cocoa powder have more fillers and fiber, which thicken the frosting and require more cream). This makes enough frosting for 12 cupcakes or a single layer cake. You may need to do 1.5 to 2x the recipe for larger cakes. Maple syrup is not generally advised on the keto diet. Stevia or swerve or monk fruit sweetener would be better.